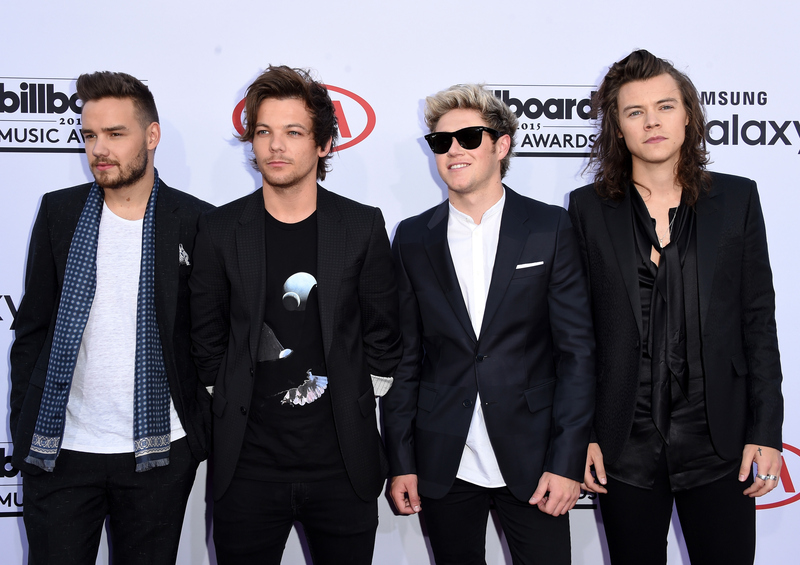 By now, fans are slowly coming to terms with the rumor that One Direction will take a hiatus in March 2016. The band reportedly won't tour to support their upcoming fifth album, making the news all the more sad. However, One Direction songwriter Julian Bunetta spoked about the hiatus and, as he points out, it's not necessarily a bad thing. “I know they’re taking a much-deserved break," Bunetta told Entertainment Weekly. They’ve been doing something that no band has ever done — five albums, five tours, and a movie in five years. It’s pretty prolific and incredible. It’s up to them. They might take a year off and miss it. They might take a year off and say you know what, I need another year off." In other words, no one — including a One Direction insider — knows what will happen after the hiatus. However, this could ultimately benefit the band. “I think it’s important for them to have a relationship that isn’t strained by being gone all the time," Bunetta added. "It’s important for them to do whatever they want as individual men and not have to make a democratic decision for once. I think it’s important for them to do whatever their hearts desire. Maybe their hearts will lead them back together. I hope." I completely agree with Bunetta. While I'm devastated that One Direction might not be touring next year, here are seven reasons why the hiatus is good for them. Let's pull from the Taylor Swift school of thought. The singer prefers two years in between albums so she has time to gather experiences. If the band members embark on solo projects, they'll craft their own sounds. If they bring back these unique elements, it could make for something epic. And their focus will be on making something incredible. One Direction will know what else they can do with their careers and this will help them appreciate everything the band gives them. Destiny's Child took a three-year break and came back with an incredible album. If One Direction can put out an amazing album with less than a year to work on it, imagine what they will do with more time. If One Direction fulfill their five-album contract, album number six will be a new level of ownership for them.